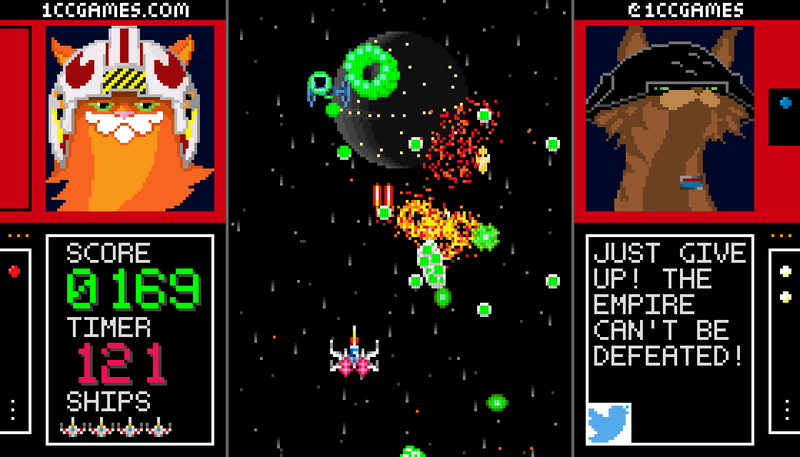 Star Claws Trilogy Arcade is a tribute to our favourite Sci-Fi films... with 100% more cats and Twitter! 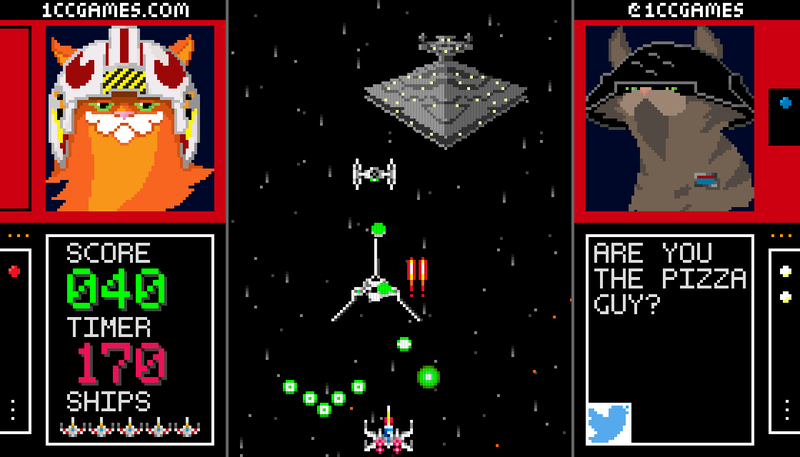 Fight against the evil Galactic Empire and restore freedom to the galaxy, right here in your browser! There's also a standalone version for Windows and Mac OS X with added controller support and extra customization options. Be sure to check our Itch page for more great games, and please consider rating this one to let us know what you thought of it. 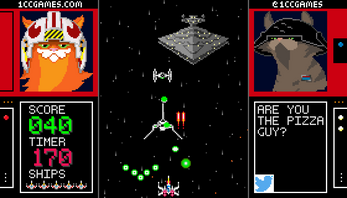 Use the Arrow Keys to move and Space to shoot. 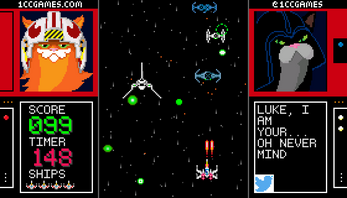 Destroy enemies to get points and medals. Collecting a medal will add 1 second to the timer and missing a medal will take away 3 seconds from the timer. If you get hit by an enemy bullet you will lose 1 life. If you lose all your lives or run out of time, it's Game Over! 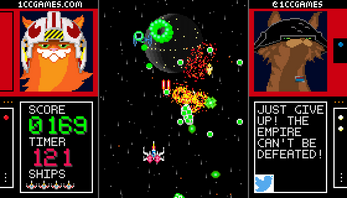 Note: scores will be reset in the browser version if you close the tab or window the game is in, so take a screenshot before leaving if you get a high score and want to keep a record! Download one of the files below for your platform of choice, then unzip it to get a folder containing the game. After that, simply double-click the game's icon inside the folder to begin playing! Xbox 360 Controllers are supported on both Windows and Mac OS X, but require specific drivers to be installed: see the readme file included with the download for more details.